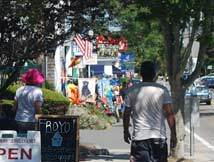 Whether you have a variety of tots and tykes in tow or you’re seriously considering competing in the next Tour de France, you’ll find a biker’s paradise on Cape Cod. Since the opening of the Cape Cod Rail Trail in 1976, Cape Cod has been at the forefront of creating safe bike routes which are well utilized by both locals and visitors. The trails wind through remote areas you’d never be able to see from the roads, so get pedaling! 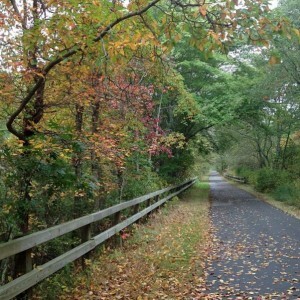 Fall on the Cape Cod Rail Trail. We like to ‘respect our elders’ so we’ll start with the granddaddy of Cape Cod bike trails. When the railroad tracks laid by the Old Colony Railroad, the company responsible for first bringing trains – and in many ways tourism – to Cape Cod were no longer needed, they were purchased by the Massachusetts Department of Transportation and leased to the MA Department of Conservation to use as a bike path. The wide, flat rail bed proved the perfect terrain for a bike trail on Cape Cod. As the popularity of the Cape Cod trail grew, so too did the number of businesses associated with biking. Bike rental shops, and places to grab a bite, began to spring up all along the trail. And as the level of interest in biking on Cape Cod continued to grow unabated, so too did the trail itself. 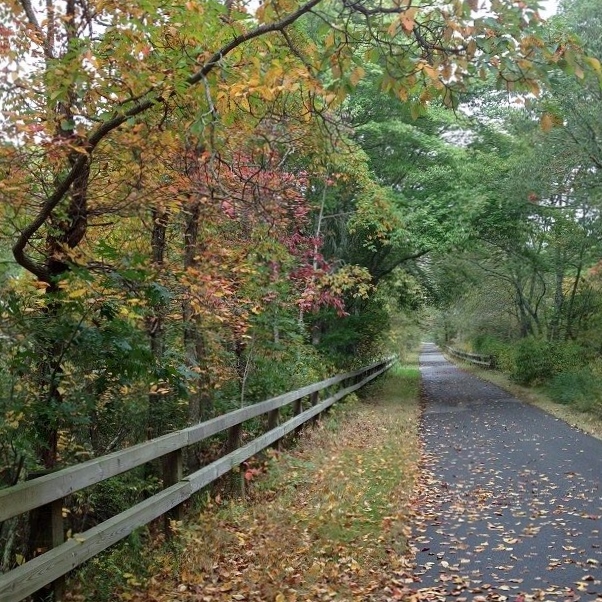 The Cape Cod Rail Trail now spans 22 miles from South Dennis all the way to Wellfleet. A ‘spur’ heading down into Chatham was added several years ago. Currently under construction (anticipated completion date is fall of ’17) is an extension from South Dennis heading west to South Yarmouth. Look For: Wildlife galore – deer, turtles, swans, ducks, herons and birds of prey, etc. 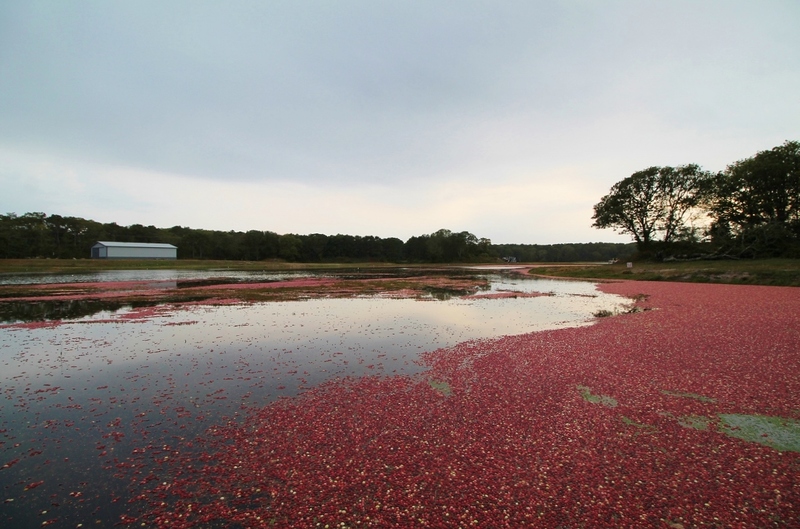 – and cranberry farms, freshwater ponds in Harwich and Brewster (there are several in Nickerson State Park), the trail to Coast Guard Beach in Eastham (starts at Salt Pond Visitor Center), and to Marconi Beach in Wellfleet. Rent At: Barb’s Bike Shop at the trailhead on Route 134, Brewster Bike right on the trail in Brewster, and Idle Times alongside the trail in Orleans. Most of the shops have kid seats and trailers available; all have helmets. Eat At: If you start in South Dennis and want to grab sandwiches to eat along the way, swing into Great Western Mercantile (Great Western Road, South Dennis) or stop at Local Flavor (the ‘little red store’ as it’s referred to by locals) right on the trail in Harwich. In Brewster is Cobie’s, a decades-old clam shack, and in Orleans you’ll find ice cream and sandwiches at Hot Chocolate Sparrow. Herring Cove on the Province Lands Bike Trail. If you’re the ‘Tour de France’ type, you may opt to ride out to Provincetown to hit Cape Cod National Seashore’s Province Lands Trail. If you’ve got ‘tots and tykes’ in your group, we’d advise against it. It’s a long way to bike and much of the biking needs to be on busy Route 6 (an expansion from Wellfleet to Provincetown is in the planning stages). Grabbing the kids and driving out to Provincetown for the day? We’d totally advise you to do it! 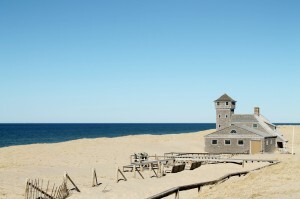 Old Harbor Life-Saving Station at Province Lands Visitor Center. 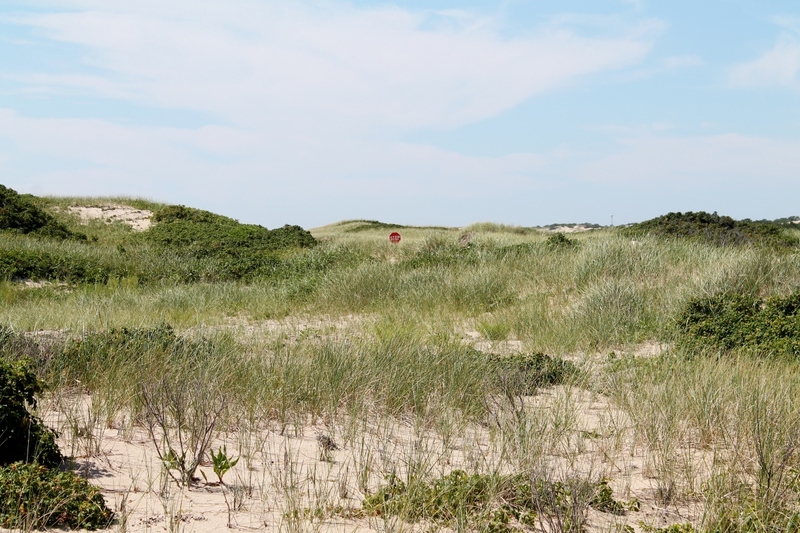 trails winds through the dunes – which can make them sandy and slippery; use caution – and through the Beech Forest area which has several ponds. Short spurs will take you out to either Herring Cove Beach or Race Point Beach, and a stop at the Province Lands Visitor Center is a must. The 360-degree views from the second-story observation deck alone are worth the trek to Provincetown. Look For: A Thoreau-esque natural beauty you won’t find anywhere else on the Cape, ocean beaches and ponds, wildlife, Old Harbor Life-Saving Station at Province Lands Visitor Center. Rent At: Gale Force Bikes or Ptown Bikes on Bradford Street, or The Bike Shack on Shank Painter Road. Eat At: Far Land at the Beach at Herring Cove Beach for classic beach shack food with some unexpected add-ons like kale and chickpea salad, and a chicken-quinoa burger. There’s even a kids’ menu. Also of Note: The 11-mile Shining Sea Bikeway in Falmouth winds through wooded areas, and right along the beach, with very few road crossings making it a great option for families. Rules of the Trail: Keep right and stay in a single file. If you’re passing a group of cyclists, move to the left and alert them by saying ‘On your left’ as you start to pass. There are places where the bike trails cross roads. Stop and dismount and walk your bike across the street. This will ensure that traffic grants you the right of way.